We’ve always been interested in the whole craftmanship/handmade vibe even from the early days of starting the site, so it was obvious that this short documentary that Mackenzie Sheppard is currently working on would appeal to us. 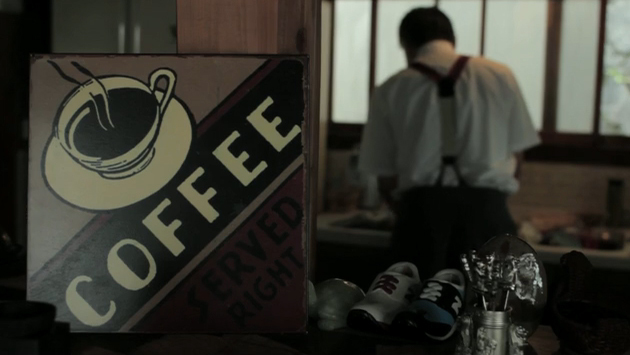 In this teaser we get a brief insight into the topic and tone of the documentary which is based around the life of a humble Japanese man from Seto who is passionate about the art of coffee making, and is considered somewhat of a master locally. With the devastation left in areas of Japan, Yoshi has dedicated his time to helping those in need through his passion of coffee making. Through running a shop he provides a safe haven for development workers to meet and discuss plans for rebuilding communities and towns. This is a great watch with Yoshi coming across as quite an inspirational character, especially through his dedication to helping those in need. Mackenzie is currently raising money for the project with filming being completed in the next couple of months, last time we spoke things were going well so hopefully we can bring you the final project sooner rather than later.